Charles Allen Flowers Jr. Killed in Las Vegas Apartment Shooting; Was This Tragedy Preventable? Could the tragic loss of this Las Vegas man have been prevented and are justice and compensation available to Mr. Flowers’ family? 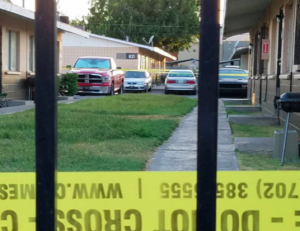 Gunfire erupted in the parking lot of a downtown Las Vegas apartment complex Tuesday evening, August 21, 2018, claiming the life of 29-year-old Charles Allen Flowers, Jr. According to the Las Vegas Review Journal, the shooting occurred in the parking lot of the complex “at 825 W. Lake Mead Blvd., near H Street,” shortly after 6 p.m. Tragically, Mr. Flowers succumbed to fatal injuries at the scene. The media report indicates Mr. Flowers “previously lived at the complex and had friends there.” Police are still searching for suspects and a motive. What security measures, such as gated-entry, fencing, surveillance cameras, and security patrols, were in place to deter crime and protect Mr. Flowers at the time of the shooting? Generally, property owners are required to protect all those legally on the premises from any foreseeable harm. Should the facts of this matter reveal that the property owner or management failed to provide adequate security to protect those on its premises, the family of Charles Allen Flowers, Jr. may seek justice and elect to pursue legal claims for their loss.